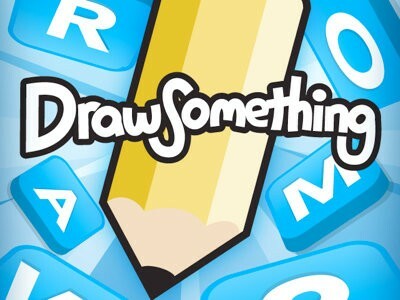 Draw Something, which has been quite popular on Facebook, will soon be aired on a TV show. CBS has acquired its TV rights and is reportedly working on this project to make it more successful and interesting. Sony Pictures Television, Ryan Seacrest Productions and Embassy Row are collectively working to produce the pilot. Although, the exact details about Draw Something game show are not yet released, but according to some reliable sources the game show will pit celebrities in competition with Draw Something users. In addition, users from home can also play this game and win prizes. “Each week, teams of celebrities and everyday users will test their skills in front of a studio audience to earn money and big laughs. Viewers can also play along at home for a chance to win prizes and compete with the celebrities,” said CBS. Draw Something is not so old in the mobile gaming world but it has already established a huge customer-base. Within the first 50 days after its launch in February, it gained almost 50 million users. In March, the social networking site Facebook bought the app and OMGPOP for $180 million. Matt Hill said that the Draw Something show is going to be the first show among many TV shows and movies which take inspiration from mobile apps. He is working as a deputy editor of T3 and said that bringing Draw Something on TV clearly shows the importance of mobile apps. According to him, more television and films will come in the future from apps, and they will become more glamorous in the coming days.